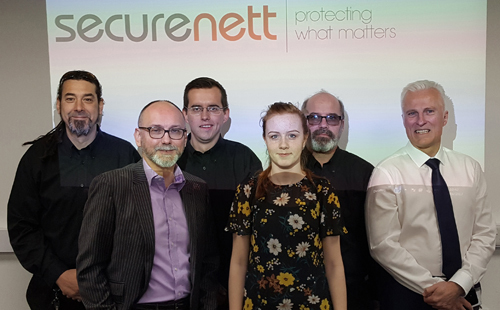 Formerly known as Defence Security Systems, PSI visited Securenett Security Systems the newly rebranded business at its Cradley Heath premises to meet the team. More than £1m has gone into the whole Prime House site in the last two years with the refurbishment of the Training Academy, a former billiard table factory, costing over £100,000. The Training Academy is part of the Securenett portfolio and falls under the remit of Operations Compliance Director Karl Northall and Technical Manager Ray Flanagan. Inside the training area there are modular units that allow swift changes from different intruder and fire panels plus a large area for presentations. The facility also gives Ray a place to break apart and study new kit from suppliers prior to recommending it and “passporting” it through. We caught up with Karl a few months after the name change and the opening of the new Training Academy. 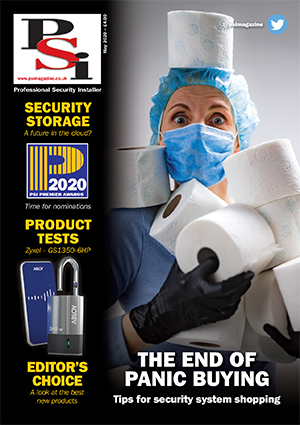 When was the switch over from Defence Security to Securenett? On January 1st we rebranded for a fresh start with a big emphasis on training because Ray and myself have a real passion for educating the industry. Our thinking is that if we can get people to come here as a ‘blank canvas’ then we can help develop apprentices through the ranks and throughout their career. We have a great facility in the Training Academy ready to train people on any kind of panel, CCTV, access system, fire. Is the idea to train Securenett staff only? We will certainly train internal people as we have a policy of developing from within and we want to have everyone up to a specific level both field- and office-based as this pays dividends for our customers. Moving forward we will get in touch with Job Centres, schools and colleges to get people in from those routes. Eventually we want to go down the route of promoting the Training Academy to any midlands-based installer so that they can come here for training. As a member of the ECA we will hope to attract other members and installers so that they come here and train on equipment from our supply partners. Also we want our partners to use the Training Academy for any meetings or presentations; for example we recently hosted a session with Avigilon when they had a UK sales meeting in the Training Academy. We think this would be of real benefit to partners and if they want to bring other people in as well that is ideal. Do your supply partners also provide the kit for training? Yes they do and some of it is brand new too. At the Avigilon meeting recently they launched a few new incentives and products and it was good for us to meet the teams from across the country and discuss new technology and trends with them.